Фотобанк Rusmediabank – лицензионные Фото, Видео, Музыка - Metal Beveled Distressed Narrow Font. Vector Alphabet. 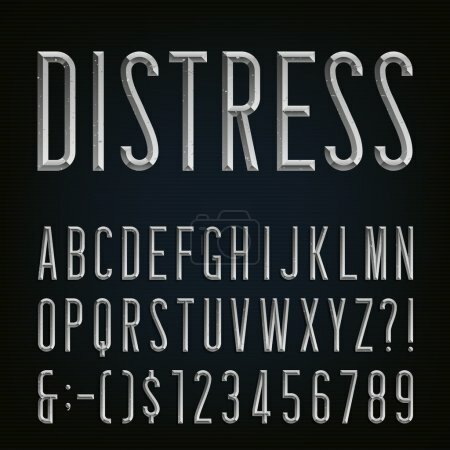 Metal Beveled Distressed Narrow Font. Vector Alphabet. Metal effect beveled and distressed narrow letters, numbers and punctuation marks. Stock vector for your headlines, posters etc.